All good, Sue. I have a fondness for that still life with the old camera, but then I do always enjoy your still life compositions. I love your Cuban ones! Especially the lady with the lovely smile. 🙂 🙂 Nice Christmas, Sue? Thanks, Jo! Glad you like my Cubans! I have had a lovely Christmas, thanks…you? I remember most of these Sue, my favourite is the still life. 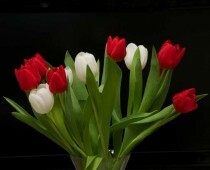 I love your still life images. They take patience Sue and you obviously have that, plus a feeling of what objects go together. Well, I don’t think patience is mŷ best attribute, Jude! But I like the idea that I have a feel for arranging things…. Meaningful gallery, Sue. Love them all, but ….I think I have a weak spot for your still lives. Well, thank you, Ann Christine! I’m going to have to do some more Still Lifes as a number of people have said they reallŷ like them! Slumping car wreck is my favourite, but all monochrome suits your style. And I too admire your still life compositions. Mine always look clumsy. Any new series plans for 2018? Do you do a NY resolution about photography? Mine probably should be “not so many and delete lots”. Stylistically? Any ideas? I haven’t pushed the refresh button for a while. Great gallery Sue. We’ve discussed that old car before and so still love it. The Cuban staircase is a great shot and brings back memories for me – I tried to capture it myself and failed! But your still life is special. I really don’t think I could do this myself. To put things together into the right composition is a real skill. Thanks for the compliment about my Still Lifes, Debs….much appreciated. Just dashed a couple off, let me know what you think! Your choice of monochrome really fits these images.